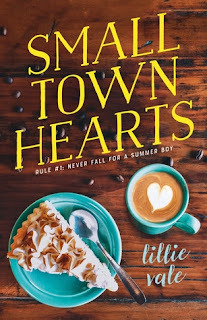 Small Town Hearts is a cute contemporary romance that’s perfect for those who love a good summer romance. I know I do! Babe and Levi are two characters that define what it means to fall in love when you’re least expecting to. Want to know one the coolest things about the book? It has a BI MC! I think it’s a great addition to diverse books in the YA community. We’ve got to be able to report all types of relationships—because at the end of the day, love is love is love. I liked the feeling of being in a small town and I thought that Vale was able to be both authentic and fresh in bringing that to life. Also the food. This is a book that made me so hungry! Overall, this is a book you don’t want to miss out on! *Thank you to the publisher for providing a free copy in exchange for an honest an unbiased review. All thoughts and opinions are my own.